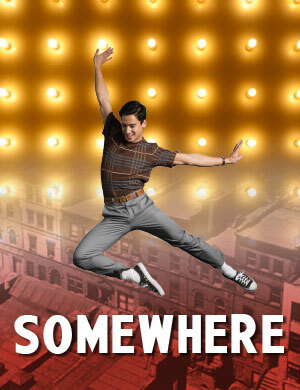 Hartford, CT – February 18, 2014 – Matthew Lopez’s Somewhere, the captivating, dance-filled saga of a Puerto Rican family in 1959 New York City, springs to life April 3 to May 4 in its East Coast Premiere at Hartford Stage. By the author of the critically-acclaimed The Whipping Man, which garnered rave reviews at Hartford Stage in 2012, Somewhere will feature Priscilla Lopez (Morales in the original cast of A Chorus Line) and will be directed by Giovanna Sardelli, with original music by Tony Award winner Bill Sherman and choreography by Greg Graham. In 1959, West Side Story is storming Broadway, and a movie version is on the way. It fuels the show-business dreams of Inez Candelaria (Lopez), who works as an usher but hopes that her children will succeed on the other side of the footlights. The play’s journey over the past two years included well-received productions at The Old Globe in San Diego and TheatreWorks in Palo Alto, CA, and then a workshop as part of Hartford Stage’s Brand:NEW series four months ago. Matthew Lopez also served as the 2013-2014 Aetna New Voices Fellow here. The cast of Somewhere includes Zachary Infante (Julie Taymor’s A Midsummer Night’s Dream, Theatre for a New Audience; Peter Pan, Paper Mill Playhouse); Priscilla Lopez (Broadway’s A Chorus Line, Tony Award nomination; A Day in Hollywood/A Night in the Ukraine, Tony Award for Best Featured Actress in a Musical; In the Heights; and Anna in the Tropics); Jessica Ann Naimy (South Pacific, National Tour; A Chorus Line, San Diego Musical Theatre); Michael Rosen (Broadway’s West Side Story; Nikolai and the Others, Lincoln Center Theater); and Cary Tedder (Broadway’s Big Fish and Memphis: A New Musical). Priscilla Lopez, who is the playwright’s aunt, as well as director Giovanna Sardelli and choreographer Greg Graham, have been a part of all previous productions of Somewhere. Director Giovanna Sardelli’s previous works include Off-Broadway’s Earth Girls Are Easy and The North Pool, at such theatres as Cherry Lane Theatre, Second Stage, The Vineyard, and The Woman’s Project. Choreographer Greg Graham’s credits include the TV series “SMASH” and “Ugly Betty.” Broadway dance credits include Fosse, Hairspray, Chicago, Dirty Rotten Scoundrels, and Billy Elliot. Somewhere features scenic design by Donyale Werle (Tony Award-winner for Broadway’s Peter and the Starcatcher and Tony Award-nominee for Bloody Bloody Andrew Jackson); costume design by Amy Clark (Broadway’s A Night with Janis Joplin and Ringling Bros. Barnum and Bailey Circus); lighting design by Philip Rosenberg (Hartford Stage and Broadway’s A Gentleman’s Guide to Love and Murder, also Mary Stuart and Shrek: The Musical on Broadway); and sound design by Jason Crystal (Rodgers & Hammerstein’s Cinderella and The Gershwins’ Porgy & Bess on Broadway). Lori Lundquist will serve as production stage manager. The Presenting Sponsor for Somewhere is The Hartford. Production sponsorship provided by Bank of America and Robinson & Cole LLP. Somewhere is supported by the 50th Anniversary NCTF/Ford Foundation Fund for New Work. Additional production support provided by Jill Adams & Bill Knight and The Seedlings Foundation. Somewhere is supported by the National Endowment for the Arts ArtWorks program. The 50th Anniversary Season is made possible, in part, by Legacy Sponsors Travelers, United Technologies and The Hartford. The anniversary season is also sponsored by the Greater Hartford Arts Council and the Connecticut Department of Economic and Community Development. The production runs April 3 through May 4, 2014. Evening performances are Tuesday, Wednesday and Thursday evenings at 7:30 p.m.; Friday and Saturday at 8 p.m.; Sunday matinee performances at 2 p.m.; and select Wednesday and Saturday matinees are at 2 p.m.
Tickets for all shows start at $25. Discounts available for groups of 10 or more and for students (recommended for ages 14 and up). For a more specific schedule of performances or to buy tickets for Somewhere, please call the Hartford Stage box office at 860-527-5151 or visit www.hartfordstage.org. the uniquely candid world of a ten year old!! 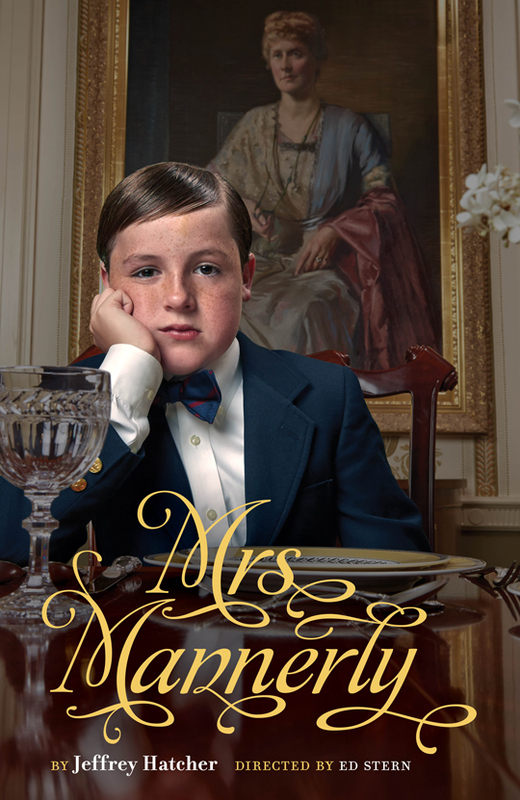 Mrs. Mannerly runs October 11 through November 17, 2013. Production Manager is Michael Lenaghan. For seats call (860) 527-7838. Mrs. Mannerly is the first play of TheaterWorks’ 2013 - 2014 Season. (diagonally up Pearl Street from TheaterWorks). Hartford, CT, January 30, 2013 - Hartford Stage, under the leadership of Artistic Director Darko Tresnjak and Managing Director Michael Stotts, today announced the full cast and creative team for the world premiere stage adaptation of Anton Chekhov's Man in a Case, featuring Mikhail Baryshnikov, on stage February 21 through March 24. In a tale both witty and haunting, a reclusive man's courtship of a carefree young woman forces him to stare down his own rigid nature. Another man looks back at the love of his life, and wonders if he should have pursued her despite her marriage to another. Annie-B Parson and Paul Lazar, the team behind the internationally acclaimed Big Dance Theater, bring their signature style - fusing theater, movement, music, and video - to their world premiere adaptation of two Anton Chekhov short stories, "Man in a Case" and "About Love." The cast features Mikhail Baryshnikov with Jess Barbagallo, Tymberly Canale, Chris Giarmo, and Aaron Mattocks. Man in a Case, Adapted from Two Stories by Anton Chekhov, is directed by Annie-B Parson and Paul Lazar of Big Dance Theater and choreographed by Annie-B Parson. Man in a Case, will feature Mikhail Baryshnikov, who appeared on Broadway in Metamorphosis (Tony Award-nomination and a Drama Critics Award). Off-Broadway credits include In Paris (Ely and Edyth Broad Stage, Berkeley Repertory Theatre, Lincoln Center Festival and 2011-12 International Tour), Beckett Shorts (New York Theatre Workshop) and Forbidden Christmas or The Doctor and the Patient (Lincoln Center Festival). He has appeared in the films White Nights, The Cabinet of Dr. Ramirez, Company Business and The Turning Point (Oscar nomination, Best Supporting Actor). Awards include: Kennedy Center Honors, the National Medal of Honor, the Commonwealth Award, the Chubb Fellowship, the Jerome Robbins Award and rank of Officer of the French Legion of Honor. He is the Artistic Director of the Baryshnikov Arts Center in New York. The cast will also include Jess Barbagallo (Big Dance Theater, Theater of a Two-Headed Calf and The Builders Association) who will portray Hunter and Burkin; Tymberly Canale (Big Dance Theater's Supernatural Wife) as Barbara; Chris Giarmo (Big Dance Theater's Supernatural Wife) as Hunter and Ivan; and Aaron Mattocks (Big Dance Theater, Phantom Limb Company and OtherShore) as Kovalenko. The creative team features costume design by Oana Botez (PS122, The Kitchen); sound design by artist and musician Tei Blow; set design by Peter Ksander (Brooklyn Academy of Music, PS122); video design by Jeff Larson (Comme Toujours Here I Stand, Big Dance Theatre); lighting design by Jennifer Tipton (Tony awards for The Cherry Orchard and Jerome Robbins' Broadway); and the production stage manager is Jenni Bowman. Principal production support forMan in a Case, by United Technologies, with additional support from Bank of America. Press Night: 7:30 p.m. on Wednesday, February 27. Opening Night: 8 p.m. on Friday, March 1. The production runs February 21 through March 24. Evening performances are Tuesday, Wednesday and Thursday at 7:30 p.m.; Friday and Saturday at 8 p.m.; and a special Stay/Play performance at 6:30 p.m. on Wednesday, March 13. Matinee performances are Sundays and select Wednesdays and Saturdays at 2 p.m. For a more specific schedule of performances or to buy tickets for Man in a Case, please call the Hartford Stage box office at 860-527-5151 or visit www.hartfordstage.org. Library Talks take place at 7:30 p.m. February 7 at the West Hartford Public Library, 20 S. Main Street, West Hartford, and at 7 p.m. on February 12 at Prosser Library, One Tunxis Avenue, Bloomfield. Senior Dramaturg Elizabeth Williamson gives community talks on each show in the season, at the West Hartford and Bloomfield Public Libraries. The Producer's Table takes place at 5:45 p.m. March 7. Managing Director Mike Stotts hosts a pre-show dinner, where he gives you a behind-the-scenes look at what it takes to produce a play; tour at 5:45 p.m. and dinner at 6 p.m. before the 7:30 p.m. performance. Tickets are $21 (performance not included) and can be purchased at hartfordstage.org. Dinner + Design takes place at 6 p.m. February 27. Members of our production team discuss what it takes to create the theatrical worlds of our season. Learn more about the magic that happens backstage while enjoying a pre-show dinner. (Dinner at 6 p.m. before the 7:30 p.m. curtain.) Tickets are $21 (performance not included) and can be purchased at hartfordstage.org. LGBT Night Out takes place at 6:15 p.m. February 28. Pre-show nosh and complimentary wine (plus drink specials at the bar) for our lesbian, gay, bisexual and transgender patrons.In collaboration with the Connecticut Gay & Lesbian Film Festival. FREE. Hartford Stage, since its founding in 1963, has been known for innovative revivals of classics and the development of important new works, including 65 World or American premieres. Recent work includes Quiara Alegria Hudes' Water by the Spoonful, winner of the 2012 Pulitzer Prize for Drama; Horton Foote's The Orphans' Home Cycle which had a celebrated run at the Signature Theatre in New York during the 2009-2010 season; a landmark production of Harper Lee's To Kill a Mockingbird; the premieres of Michael Kramer's Divine Rivalry; and Daniel Beaty's Resurrection (later retitled Through the Night, which had a successful run off-Broadway during the 2010-11 season). In 1998 the theatre launched an unprecedented ten-year retrospective of Tennessee Williams, which included the premiere of three plays. Other new work includes the premieres of Eve Ensler's Necessary Targets, Edward Albee's At Home at the Zoo, Matthew Barber's Enchanted April (which transferred to Broadway), Matthew Lombardo's Tea at Five, and many others. The theatre has earned numerous distinguished honors, including a Tony Award for Outstanding Regional Theatre, the Margo Jones Award, OBIE awards, New York Critics Circle and Drama Desk awards. 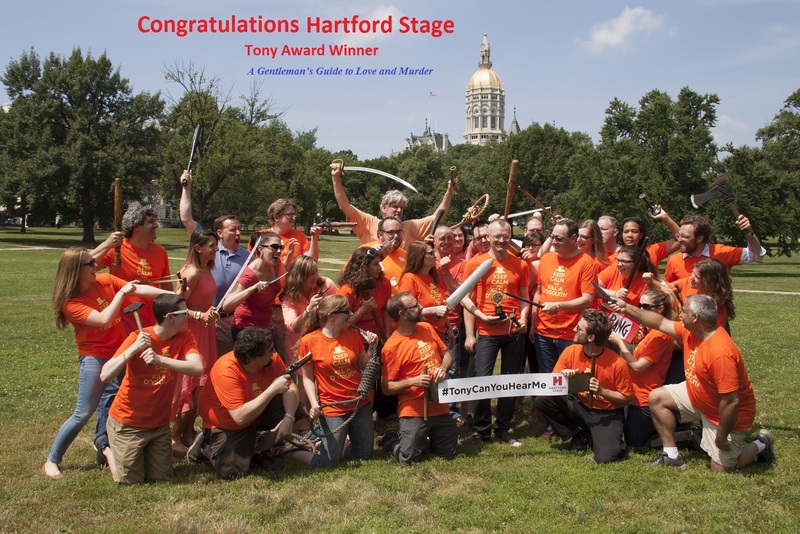 In 2005 Hartford Stage was awarded The Hartford Courant's Tapestry Award recognizing its outstanding work in diversity, and in 2008 it was awarded the Bank of America Neighborhood Builder's Award recognizing its excellence in building community in Greater Hartford. Hartford Stage is currently under the leadership of Artistic Director Darko Tresnjak and Managing Director Michael Stotts. 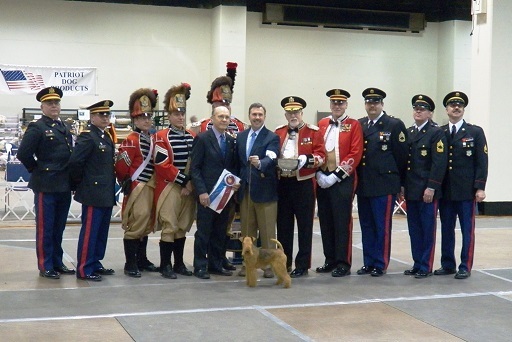 The First Company Governor’s Foot Guard, under the command of Major Commandant Christopher Cain, will sponsor the First Company Governor’s Foot Guard Athletic Association’s Annual Dog Show and Obedience Trials this weekend. At these events, dogs compete to earn championship points in the breed conformation judging. New this year, the Foot Guard Athletic Association is sponsoring two separate shows: One each on Saturday and Sunday. These are separate shows with separate entries, separate judging and separate winners. Our shows are AKC sanctioned events. Saturday’s show is All Breed and Junior Showmanship (AB/JSHW) and Sunday’s show is an All Breed, Obedience and Junior Showmanship (AB/O/JSHW) event. Nearly 900 dogs are entered in each show. Dogs from as far away as Texas, Minnesota and California as well as Canada have been registered to compete in the shows, including some that will have just competed at the Westminster Kennel Club dog show. Over 140 different breeds of dogs will be represented. Also, more than 50 dogs have been entered in Obedience Trials on Sunday which showcases some impressively trained dogs performing a series of obedience exercises.